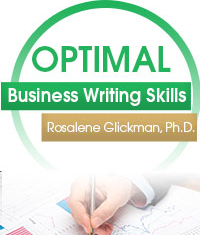 Our optimal thinking professional business plan writers have more than 250 years of combined experience writing successful business plans. We understand that the lifetime cost of a first-class business plan is minor compared to the overlooked lost revenue stemming from a mediocre business plan. That’s why our company has been at the forefront of business plan writing for 27 years. Call (424) 204-6133 or contact us for an estimate. Our senior business executive CEO, CFO, MBA, CPA and JD team are industry experts in financing, operating and marketing companies from startups, medium and large companies in your industry. We have the internal bench strength to best deliver your business plan on time, every time. Our business plan writers have achieved outstanding success with early stage and existing businesses expanding organically, via acquisition, by best leveraging untapped resources and creating new opportunities. We’ve been there and triumphed time and time again. We know how to excite angel investors, venture capitalists, private equity firms, government and other strategic investors. Our business plan specialists also have deep experience in debt financing. We don’t raise capital for clients. Raising capital is a tightly regulated service restricted to brokers licensed with the Financial Industry Regulatory Authority (FINRA). 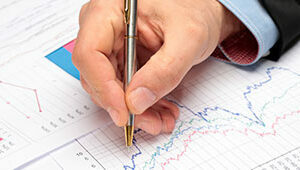 Our team has profound P & L experience. We provide objective analysis and profound insight into your sales forecasts, balance sheet, cash flow, assumptions, and break-even in order to best mitigate unnecessary risk. We provide you with a comprehensive custom questionnaire before writing your business plan. Each questionnaire digs in to uncover and document how to best articulate the unique value, potential growth and pitfalls of your business. You can then demonstrate superior strategic skills, prioritize goals, and properly allocate your resources. Our senior executive team understands that when the cost and/or probability of failure are high, optimism is the wrong strategy. We insist on contingency plans and best practices to protect your business, and relentlessly pursue the best means to achieve the best end results. Our business plan writers know how to erect daunting barriers to entry for competitors. We plan ahead for restrictive government regulations, economy or market industry changes, and other threats. Our market research analysts and industry experts know where to find historical industry data, comparables, trends, and the most relevant data for your business plan. We also know how interpret the information to maximize your success. Additionally, we provide primary research via interviews, focus groups and other means. Our seasoned business executives who have profound expertise in optimizing business development will enable you to triumph over competitors who use cookie-cutter software and bargain basement business plan writing companies. A premier business plan will protect you from the missed opportunities and lost revenue resulting from a mediocre business plan. Your optimized business plan may be an investment plan, operational plan, feasibility plan, expansion plan, annual plan, internal plan or a new product plan. Our seasoned team of professional business plan writers optimize the following items according to the purpose of the plan. We understand the importance of confidentiality, and provide a non-disclosure agreement. Feel free to download it at your convenience. The business plan writing team offers incredible value for the price. They are meticulous and made sure they gave our company the optimum representation. We used them to write a plan for an acquisition we undertook and they delivered much more than anticipated. Be prepared for a very thorough analysis of your business plan by this very capable business writing team. They caught many errors we had overlooked. We would not have been successful without them. Super professional team. Worth every cent. This business writing team led me through all the steps smoothly to compile a winning business plan. I was able to get $2.1 million in funding. Great communication and very experienced at their craft.